One day this summer, I met M. Rebekah Otto at Cafe Mustache in Chicago. 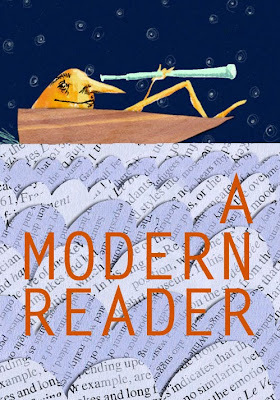 Bekah needed an illustration to accompany her monthly Rumpus column "A Modern Reader," and had gotten my name from our mutual friend Eliana Stein (a killer graphic designer, p.s.). She was in Chicago from San Francisco to see family, and we decided to meet in person to talk about ideas for the drawing. She walked in the door and immediately told me this hilarious story about, in her first day back in town, running into her kindergarten teacher in a grocery store and I thought, I like this girl. It turns out Bekah is also an Editorial Aide at Atlas Obscura, a regular contributor to The Believer, and a savant regarding quirky San Francisco facts and where to find the best biscuit and chicken sandwiches (Bakesale Betty). 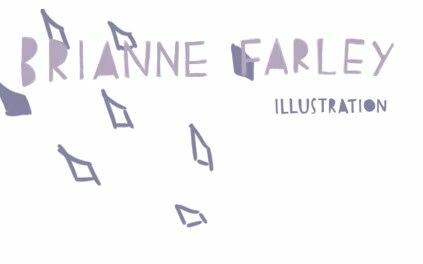 Check out her fantastic writing at any one of those three amazing publications. Here is the final work for her column, a little character navigating a sea of words. It should be up in a couple weeks!